In November 2017, SAT-7 E&D and NGO Biladi partnered for the development of an alternative learning centre with the name C.H.I.L.D. (Cultural Heritage and Interactive Learning Development). C.H.I.L.D. 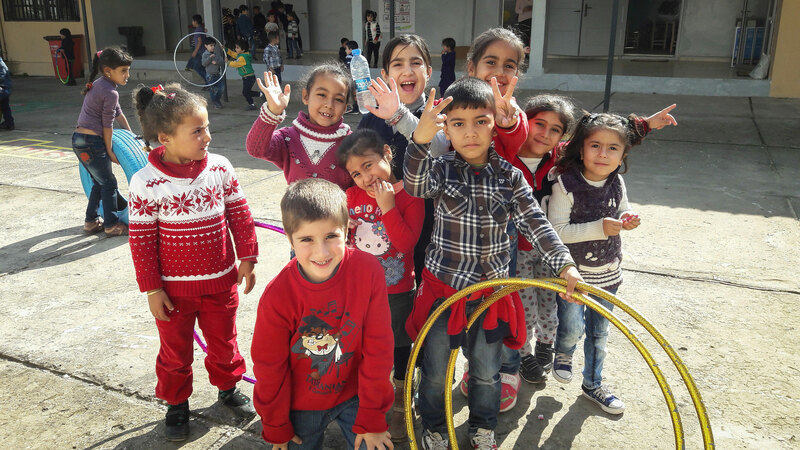 is set-up in Kfaryachit, Lebanon, and offers non-formal education to more than 100 Syrian refugee children between the ages of 4 and 8, and their parents or primary caregivers. At the centre, the programming department of SAT-7 ACADEMY, together with SAT-7’s Projects Management Team and Biladi, systematically and objectively assess the relevance of the programs and the performance of the children, parents and teachers. The assessments identify what is working and what is not working in the programs and projects as well as what challenges are emerging. This way, changes can be made to better suit the needs of SAT-7 ACADEMY’s viewers.